With all of magic at her command, Alydian is born to power. She and the other oracles serve the people, guiding kings and commoners with their ability to know the future. Yet despite Alydian's power she cannot foresee the coming betrayal, for a rogue mage lurks in their midst, and plots an alliance with the mighty guild of Verinai. Under the guise of benevolence the Verinai offer their magic to all, while their expanding reach is noticed by none. Branded a traitor, wanted for murder, the mysterious man is no ordinary bandit. For six years he has hidden behind a mask, hunting Verinai with his band of Defiant. But now his war is about to escalate, for he has targeted Alydian to send a message, that even an oracle can be killed. Beset by foes, Alydian will require more than magic to survive, for if she cannot change her future...she will fall to her fate. We measure against Tolkien, Jordan, Donaldson, RR Martin, etc... and that’s not quite fair. 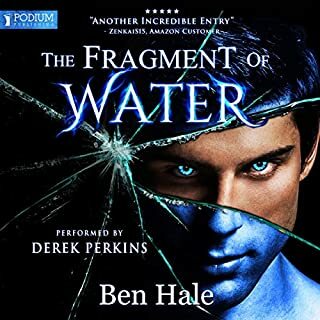 Hale is unique — appealing with a story that moves at pace in a world I want to be in. 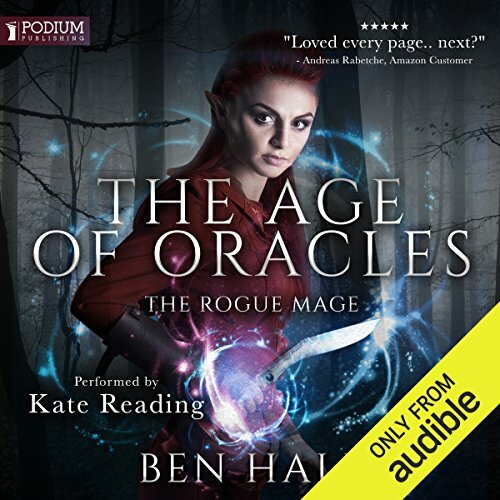 I want to be an Oracle (wrong gender be damned...) and while the moral dilemma is obvious and the plot fairly predictable, damnit if it’s not just damn fun to listen to. 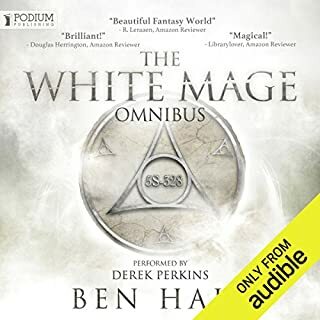 I thought the same of the white mage trilogy, and didn’t hesitate for a second to drop a credit on this and the pre-order of the following. It’s simply enjoyable. It’s good to not have to spend just as much time as listening to unravel the quixotic prose and muddled motives. Every now and then I just want someone to root for and a plot ushered forward by a legendary narrator. Sorry but I want Derek Perkins back! Sorry was ok but it hard to get into it with the voice change. Her energy levels seemed a little off I preferred Derrick Perkins voice and control. This book started slowly, but quickly heated. I really like the characters and the magic. As always Ben Hale has knocked out of the park. he had become my favorite writer. 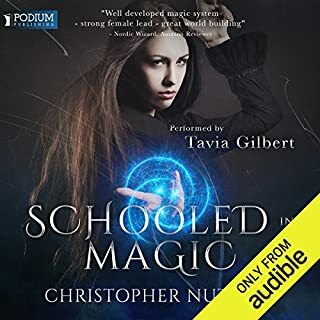 If you love stories of magic and characters over coming their personal barriers, then you'll be addicted to this story of high Oracles and their faults. Second, its not an awful book....its just a weak book. The concept of anti-magic is not fleshed out. It is used to drive convenient plot lines. While the MC is "young" for an oracle, she is almost 100....and yet she is written as a spoiled teenager., Note, she is written as a strong female character, which is rare lately...so thats a plus in its favor. Third, the ending of the book feels eh. Not much resolved. Would I recommend a credit...it is a good listen....it is probably worth a credit....but its a weak recommendation. The awesome power of the Oracle. This is a story about the powers of an Oracle. In the world that Ben Hale creates, there are many kinds of mages but the Oracles are all the different types of power put together. There are only a few alive while there are a very many mages around. Alydian is one of the youngest Oracles and is still learning how to use her powers when the rest of the Oracles go against her mother and herself.They want to basicly enslave the rest of the world and place themselves ruling all humanity. 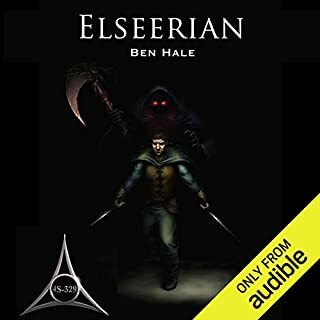 I enjoyed the way the Ben Hale explained how the magic works and how Alydian has so much power over others. 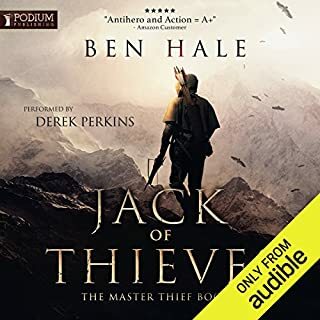 I received this Audio book for free from Audiobook Boom in exchange for an unbiased review. 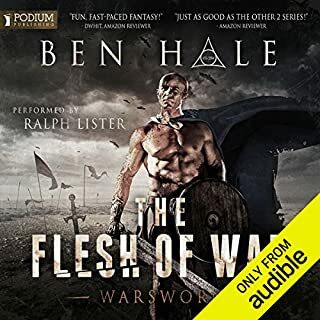 I really enjoyed listening to this audio book and intend to listen to the rest of the series. Thank! I don't know why I keep getting books by this author but they are always the same. By that I mean they are enough to stop me going mad with boredom, but as nourishing as chewing on cardboard. They are pretty standard fantasy stuff and easy to listen to, I suppose. But the characters are hardly even one-dimensional and the plots are never complicated. I have now sworn off Ben Hale. Excellent story. I really enjoyed it. Not too crude as books of this genre can be. Fully intent to buy them all.